The Village Green Foundation (VGF) is a 501(C)(3) non-profit run by volunteers. 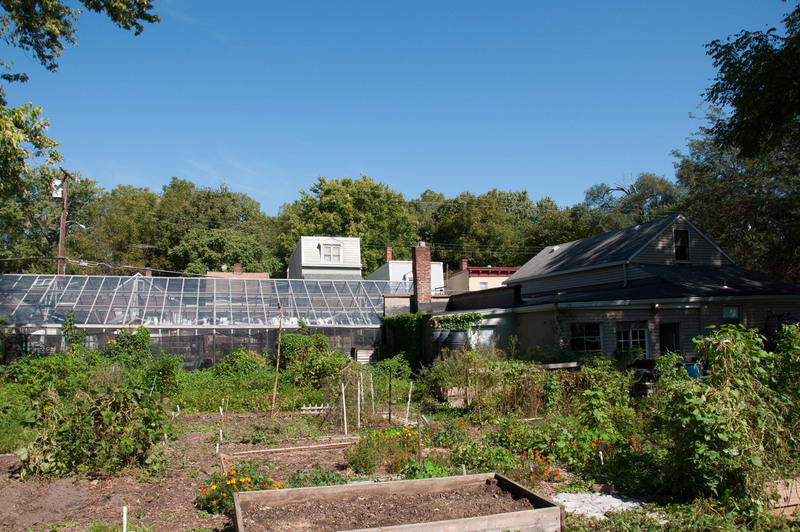 It is composed of two programs, Gardens at the Village Green (a community garden,greenhouse and food forest) and MoBo Bicycle Co-Op. A communal garden is often in an urban setting for shared use by a number of local residents. In this case The VGF brings together diverse members of the Northside community around a common commitment to community building, urban agriculture, and access to healthy food and affordable, local transportation. 3. How much is it to lease a garden plot? The VGF has (24) 12 x 12 garden beds to lease. The cost has remained stable at $20 for the calendar year. 4. How do I get a garden plot? Contact us in the Winter or very early Spring by emailing us through this website or sending a Facebook message providing us with your name, telephone number and email. Let us know that you would like to be on the garden plot waiting list. The previous year’s gardeners get first choice. You can also leave your information with a volunteer coordinator when you come to The Gardens at the Village Green or MoBo during Open Bike Shop hours. We do not sell compost. Our compost pile is available for use in the VGF community gardens. 6. The Gardens at the Village Green has a Food Forest. 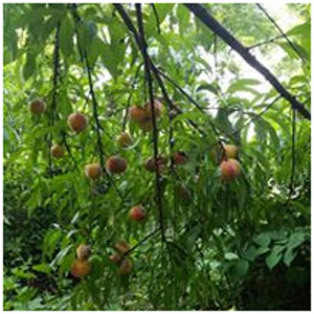 What is a Food Forest? vegetables useful to humans. companion planting is intermixed to grow in a succession of layers, to build a woodland habitat. 7. Do you grow your own plants? 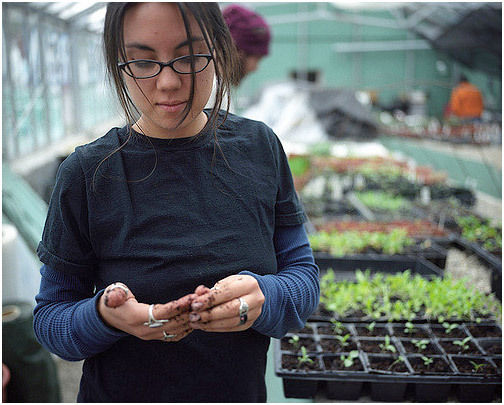 The plants sold in our annual plant sale are grown in our very own greenhouse using Heirloom seeds! 8. What is a Bicycle Co-Op? The co-op is not a replacement for a retail bicycle shop. If you are looking for a new bicycle and someone else to service it, we recommend one of the many specialized bike shops in the area that offer professional services. The co-op is not a place to drop off a bike to have serviced. Volunteer mechanics are there to help you, but they will not do the work. We will offer assessment and advice for drop-ins, and we will not turn people away due to lack of funds. We strive to take some of the mystery out of bicycles and help people get the most out of bicycling. 9. How does MoBo work? The first step is to become a member by paying a $20 annual membership fee. This gives members access to the shop, tools, cleaners, grease, the knowledge of our community and much more in helping you work to on your bikes. Members who do not own a bicycle can adopt one of the many donated bicycles, parts, and accessories at very modest prices. Kids receive free help maintaining their bikes during our Summer Kids Day Program which runs weekly throughout the summer. 10. How do I get a MoBo membership? 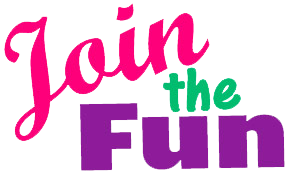 You can become a member at any time by filling out a membership form at the front desk. We accept cash and check payments. You may also complete the on-line website form. 11. What exactly is Open Bike Shop? 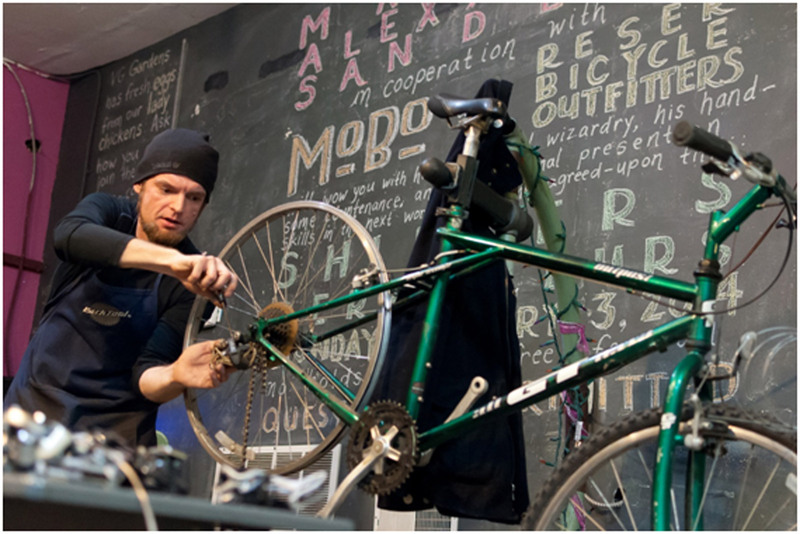 Open Bike Shop happens twice a week, Wednesdays 6-9pm and Sundays 2-5pm. Members have access to the shop, tools, cleaners, grease, knowledge of our community and much more in helping you work on your bikes. Members who do not own a bicycle can adopt one of the many donated bicycles, parts, and accessories at very modest prices. Kids receive free help maintaining their bikes during our Summertime Kids Day program, which runs weekly throughout the summer. 12. Do you sell bikes? MoBo does not normally sell bikes except during our annual Spring Bike and Plant Sale, as we are not a retail bike shop – but occasionally we sell refurbished donated bikes. We also have an “adopt a bike” program where volunteer hours can be put towards earning a bike. 13. What are your hours of operation for VFG? 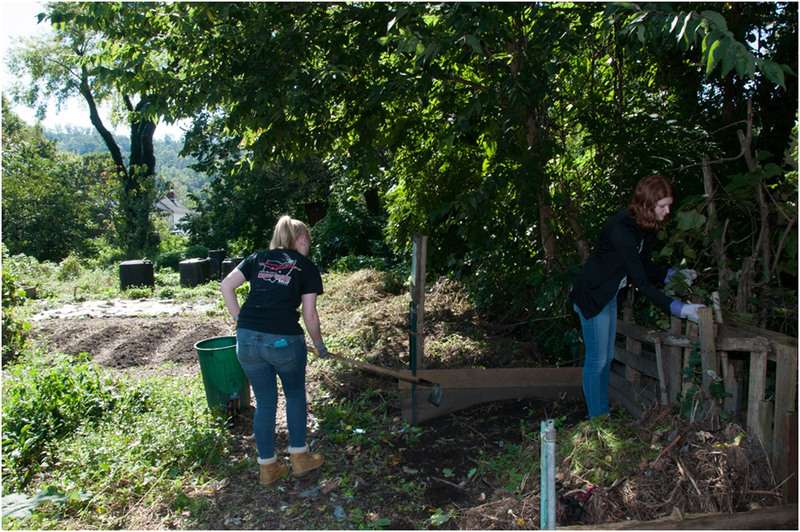 The VGF is 100% volunteer operated; there are no employees. We are open Wednesday 6-9 pm and Sundays 2-5 pmfor Open Bike Shop. The community gardens are accessible 24/7. Other independent events are scheduled and promoted through social media, email and newsletters throughout the year. 14. How can I volunteer? Sundays from 11 am to 2 pm are volunteer open house hours. You can also volunteer during Open Bike Shop hours on Wednesdays from 6- 9 pm and Sundays 2-5 pm. During these times, if you are volunteering, personal projects are put on hold in favor of volunteer work. Volunteers work in the gardens mulching footpaths, planting and harvesting, turning compost, maintaining rain barrels, organizing grounds/sheds, tools, and the greenhouse. Bike shop volunteers clean and maintain the shop, organize donated bikes and parts, and refurbish bikes for our annual bike sale. 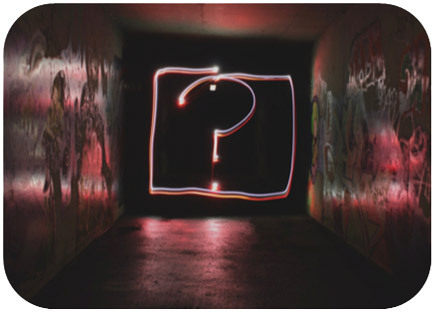 You are encouraged to share with us any specific skills you have beyond what is listed that you feel would be beneficial to The VGF such as board service, proposal writing, fundraising, technology, construction, and connections, etc. 16. Can I bring my family? Family friendly events are offered throughout the year such as Kid’s Day and Summertime Kids. Watch for social media post and newsletter announcements for special events such as Seed Swap and Potluck! 17. How are you funded? 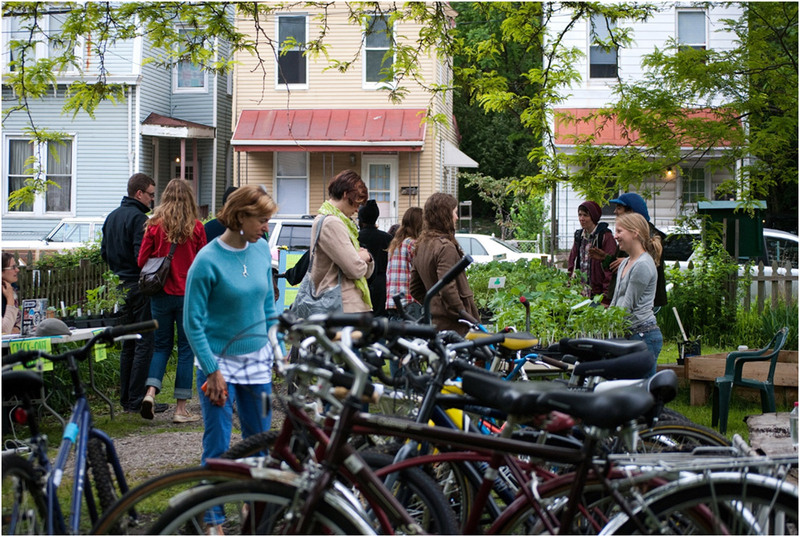 The VGF is funded through individual gifts, our annual Spring Bike and Plant Sale, foundation grants and fundraisers. villagegreenfoundation@gmail.com or visit us on-site during Open Shop Sundays 2-5 and Wednesdays 6-9 pm; Sundays (in season-weather driven) 11-2 pm.